Cocktails with whisky are delicious. Specifically, today we show a cocktail made with this liquor that has a long and interesting history. The Rob Roy cocktail mixes scotch whisky, something that differentiates it from Manhattan cocktail, so the flavor will also be a little different. This cocktail pays homage to the Scottish historical character Robert Roy MacGregor, Rob Roy, also known as the Scottish Robin Hood. It is said that began to be prepared in the bar of Waldorf Astoria Hotel. 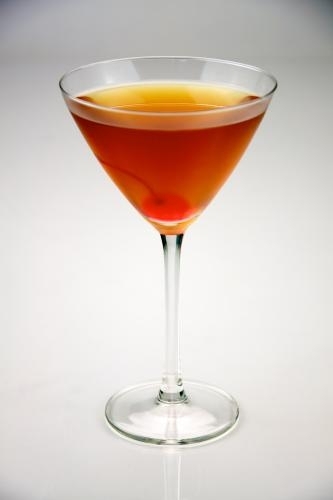 And thanks to the story of Rob Roy, who became popular in different parts of the world, such as America, the cocktail increased its popularity. 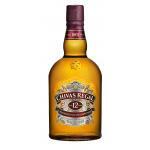 Therefore, its origin is Scottish and is also made with a whisky from this country. Note that this is one of the few cocktails made with Scotch whisky, because there are not so many. This is because this type of whisky is usually something stronger. It’s really easy to prepare. Simply mix these ingredients in a shaker with ice. Then serve in a previously cooled cocktail glass, so that it can be drunk quite cold. You can decorate with a cherry or a little orange peel. Some of the variants of Rob Roy cocktail allow to change some ingredients, such as introducing a bit of dry vermouth and another part of sweet vermouth. And some people replace sweet vermouth by a somewhat drier vermouth. 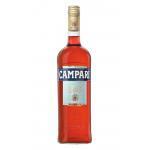 However, we must recognize that red vermouth is better because its taste pairs better with scotch whisky.